Bourgeois democracy is facing threat from within. It’s the perception of the world elites. The elites are going to gather in Davos, a snow covered village in Switzerland, in their annual moot – the World Economic Forum (WEF); and their annual flagship report – The Global Risks Report 2017 (GSR) – prepared on the basis of perception of hundreds of leading figures related to world economy, presents their assessment of the prevailing world condition. The report is a reflection of the risks, threats, trends the elites perceive. The threat originates from economic inequality. Consequently, it is reflected in politics in a polarized fashion. Political developments in Britain, in the United States, in Italy are a few of the examples. The magnitude of the problem doesn’t allow the elites to deny the problem in their politics: election-competition and its results, rise of new political trends, media manipulations, dirty tricks, silly political maneuvers, the political system they rely on. A few of the related issues are specified below. The first issue is democracy. It’s the democracy of the elites; and to be specific, democracy of dominant capital, or capitalocracy. The system – capitalocracy – has been devised to secure capital’s interest. So, the threat is being faced by the political system the elites rely on to secure their rule. The second issue is the origin of the threat as perceived by the elites: income and wealth distribution, economic inequality. The issue perceived as origin – inequality – has its origin also. One can ask: From where the economic inequality originates, and how does it increase? Doesn’t it originate in a production and distribution system (PDS), which is the relation established during production and distribution process? The present PDS is: billions of human muscles produce around the world while producers are deprived of their produce; the produce is distributed improperly, illogically, in most partial way, in most selfish way. Who have devised the PDS, and who are safeguarding it? It’s the elites, the rich, the system they have devised. And, “the richest”, the GSR says, “have made the biggest gains, especially since the global financial crisis: in the United States, between 2009 and 2012, the incomes of the top 1% grew by more than 31%, compared with less than 0.5% for the remaining 99% of the population”. [p. 23] The cruelest face is visible: they made biggest gains while the poor suffered most, while austerity regime was imposed on the poor; and this “gracious” development happened since the global financial crisis – the months and the years labor lost job and wage, people were evicted from homes, the number of homeless was pushed up to increase, public hospitals were deprived of elementary essentials to attend to patients coming from the rank of the commoners, teachers were losing jobs in the “finest” economy, schools were failing to provide food to young learners, and banks were provided with public money in billions. The PDS that made the trick of “entitling” a few with biggest gains and “bestowing” millions of common people with suffering is dictated by markets; and markets are not efficient in allocating funds for promoting public goods; rather, markets favor the rich and don’t favor the poor, markets produce super-concentration of wealth with irrational output. Super-concentration of wealth is now identified as a problem by all from the left and right camps. “1%” is now a well-accepted symbol of wealth concentration, demonic-exploitation, mega-manipulation and misuse of money and political power by a few. None denies this fact now-a-days. Credit Suisse’s Global Wealth Report 2016 [GWR] informs: “The economic inequality has increased this year. It is estimated that the top percentile own 50.8% of global household assets.” It found: “While the bottom half of adults collectively own less than 1% of total wealth, the richest decile (top 10% of adults) owns 89% of global assets, and the top percentile alone accounts for half of total household wealth.” [p. 11] Oxfam claimed in 2015: By 2016, the richest 1% could own as much or the same as the 99% at the bottom. [“Richest 1% will own more than all the rest by 2016”, January 19] The GWR for 2014 informed: The 0.7% of the world’s population with assets more than $1million controlled 44% of the entire world’s wealth. Emmanuel Saez and Gabriel Zucman, of the University of California, Berkeley and the LSE respectively, found: “In 1978, top 0.01% wealth holders were 220 times richer than the average family. In 2012, they are 1,120 times richer.” [“Wealth inequality in the United States since 1913: Evidence from capitalized income tax data,” National Bureau of Economic Research, Cambridge, Massachusetts, working paper 20625, October 2014] The top 0.1%, a small group, includes about 160,000 families only. This is reflected in politics, in governance, in taxation, tariff and trade regimes, in legislative operations; and these are all part of political system, democracy or whatever that is the rich own/resort to. The rich like economic, social and political stability that benefits them while they destroy all elements of stability through their competition. They find fulfilling greed of the rich doesn’t ensure growth, and without growth fulfilling their ever increasing greed is impossible; an amazing self-denying realty they amass in a dumb way. On the other hand, the rich can’t drive markets – their beloved mechanism to concentrate wealth. Millions and billions of human bodies are required to keep the market operational. It’s a seemingly contradictory position of the rich, the owners of markets. This contradictory position is reflected in politics, in governing system, in legislative activities, which the rich operate to favor themselves. A close look into bourgeois democracies, operations of its organs and instruments provides the proof of the claim made here. Exceptions appear whenever and wherever people power/pressure is mobilized, or, people can get hold of a required lever. But the exceptions are mutilated by the dominant powers at every opportune moment. Even opportune moments are created, and the opportune moments include incident of deadlock, situation of stalemate/shutdown. These all are done by elites through their mechanism, manipulations, deals, arrangements. They create their own logic/rationale while they operate through these; and the logic/rationale is mostly half-baked, crude, childish, blind, one-sided, incomplete, shallow, and based on lies and fabricated facts. Therefore, the problem is with the system, with the elites; economic inequality is a symptom of the entire machination. Inequality snatches away all elements of equality of opportunity; and the more inequality increases the more equality of opportunity is snatched away; and democracy gets lost in absence of equality of opportunity. However, the problem – burgeoning inequality threatening capitalocracy – is not self-contradictory, as one may misperceive. The problem has another aspect: It, the threat – inequality – to capital’s democracy, has taken such a shape that the elites are failing to deny the problem or are getting compelled to acknowledge the problem while the problem has been created by the very system the elites organize, rely and thrive on. It means they are failing to accommodate the problem, or the cushion they have devised to absorb shock that gets created in such situation is not thick or efficient enough – a failure. The magnitude and force of the shock is undeniable. Entire political system is feeling the shock: credibility, accountability, even façade of civility is getting torn down; one part is denuding the other competing part; one institution is delegitimizing the other; institutions – for propaganda and for rule – are throwing out the façade of credibility themselves; and these are happening or occurring in front of the subjects whose nod is still required to keep the essential façade intact. Amazingly, the entire business is not being done by any hostile class, but is being done by the same interest, which is trying to secure itself. Gravity of the situation increases as these “sarcasm” in the system is mainly visible in one of most advanced bourgeois democracies. The problem with the PDS has exacerbated with the rise and strengthening of the monopoly finance capital. Observation or lesson “learned” by George Soros, who made billions by betting, should be cited here. Speaking at the WEF in Davos in 2013, Soros said: “The established theory has collapsed but we haven’t actually got a proper understanding of how financial markets operate.” “We have introduced synthetic instruments, invented derivatives where we don’t fully understand the effect they have”, he said. The problem with the elites’ perception increases with their failure or denial to identify the origin of the problem. It’s their interest that compels them to resort to the failure or the denial. Because, identifying the origin is equivalent to accept the rationale of failure of the system; and failure of the system is not isolated from failure of the elites that depend on the system for their survival. The third issue is the appearance of the problem – threat to democracy – consistently over the years. 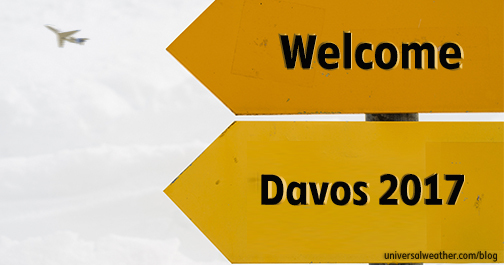 Flagship reports of the Davos-elites over the last few years are broadly identifying the problems with similar nature: democracy/governance/global or interstate conflict/ protracted global disputes/geopolitical concerns or uncertainties/environmental threats. And, the problem is not limited in the periphery of the world system. It has already raised its head more boldly in the center, and to be specific, in the center of the center of the system. Thus, the problem is making its impact beyond their borders, on a large chunk of the globe. Similar problem in the Third or Fourth World countries get confined within respective borders. Obviously there are a few exceptions. Even, in the cases of exceptions, the problems’ effect spills over to neighboring countries only. But, in these cases of center, the impacts are wide: economies in near and far, which affect billions of people, their lives, their economic activities, their wellbeing/suffering. Thus, the situation necessitates raising question about the rationale of the system, its root/origin; and rising of the question by people makes it effective. Thus, it appears, the Davos-elites are feeling the compulsion to admit a part of inability of their system. For people, it’s a warning sign: Get aware, Spread the word, Get mobilized. Other aspects related to the threat to democracy are not discussed here. This has become a ritual by elite governments … The annual reports and the alarming trends have been present for quite some years. As long as real causes are not addressed from proletariat point of view, the problem would continue and climate change may remain unattended.